One very important requirement is to allow the user to perform an optional action on the selected row. More specifically, to allow the user select an option from a context popup menu. The context popup menu should be displayed when the user right clicks the grid. 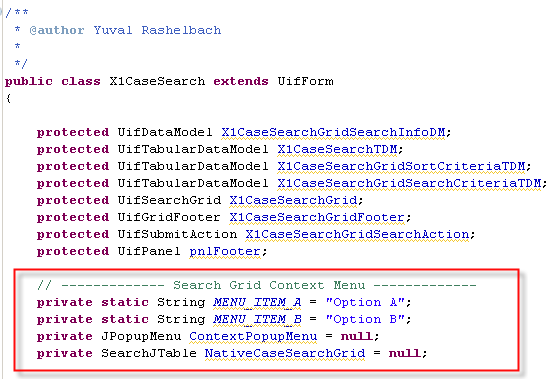 Luckily, we can add this functionality by adding several Java SWING components on top of our search grid. In our example I shall use a plain case search grid. This form was created from scratch for simplicity.. Define a Popup Listener object (form inner class). 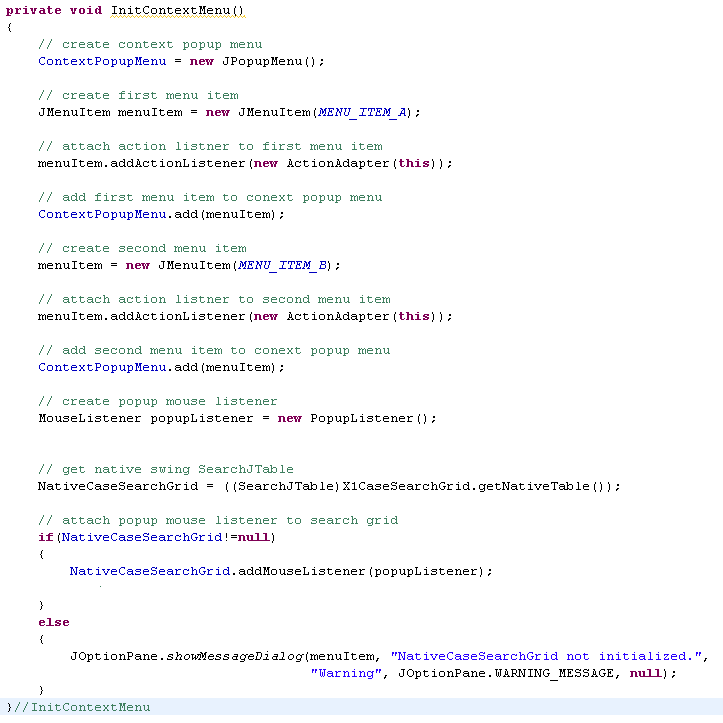 This object will be later attached to a native version of our search grid. 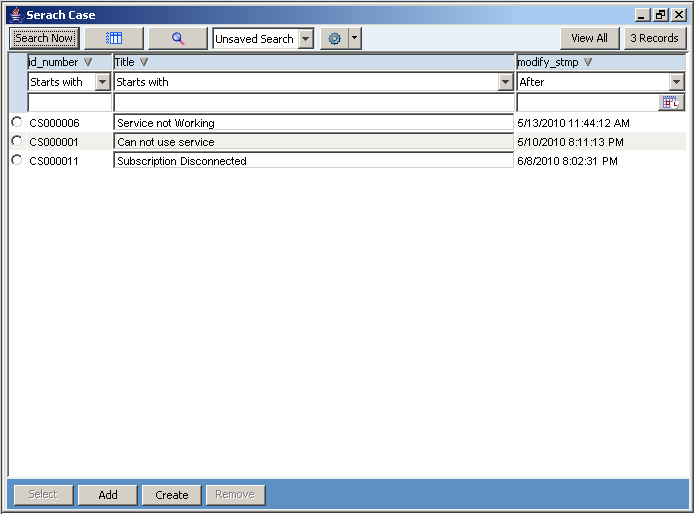 It will intercept mouse events which are directly related with the search grid. 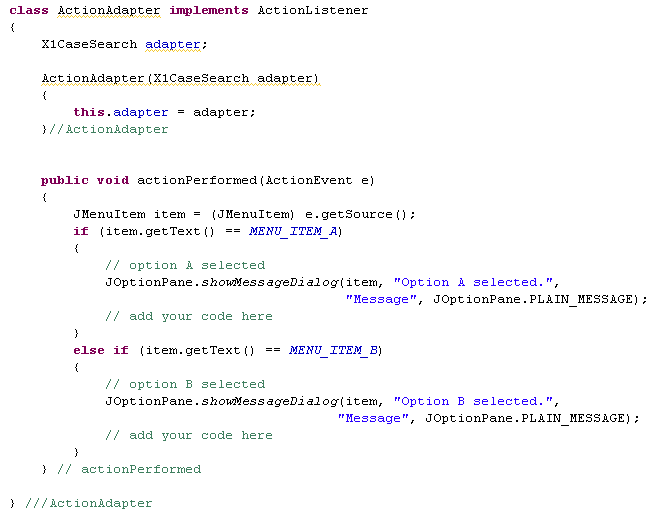 Define an Action Adapter object (form inner class). 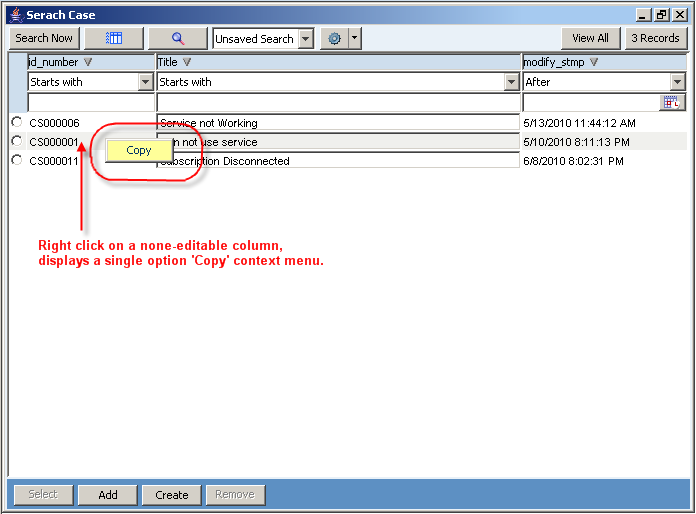 This object will intercept menu events related with our new customized context menu. 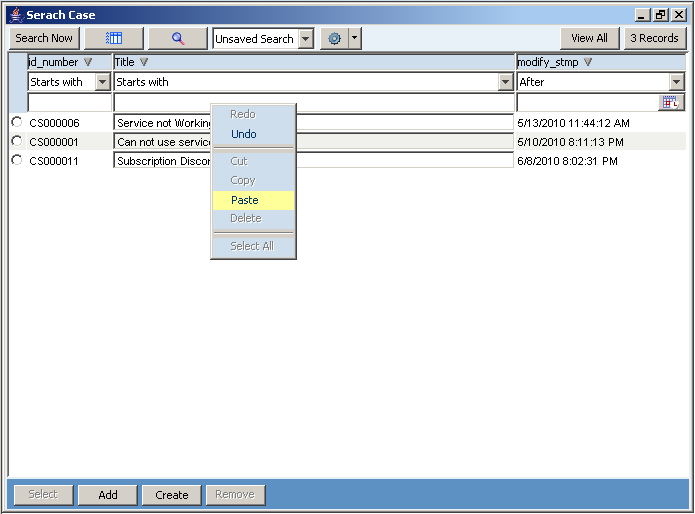 In other words, it will respond to the user selected context menu item. 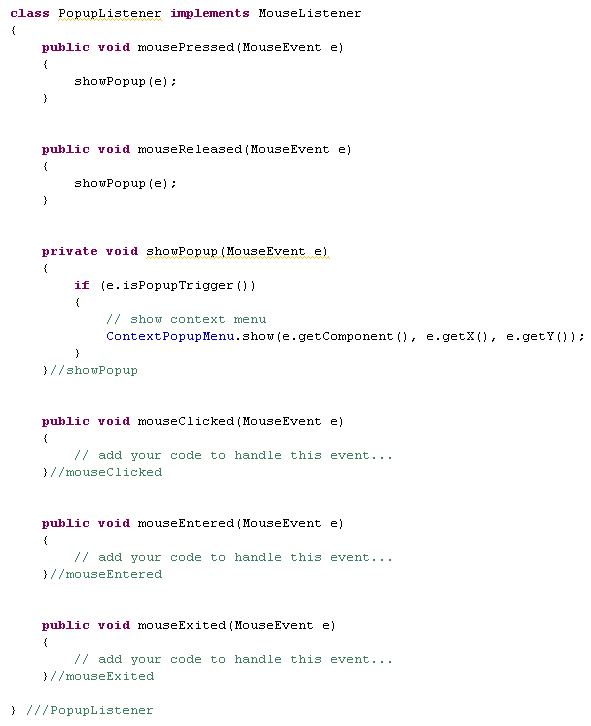 Call InitContextMenu() in your form_Load event handler. Note: this is a form inner class. It is defined within the form class. 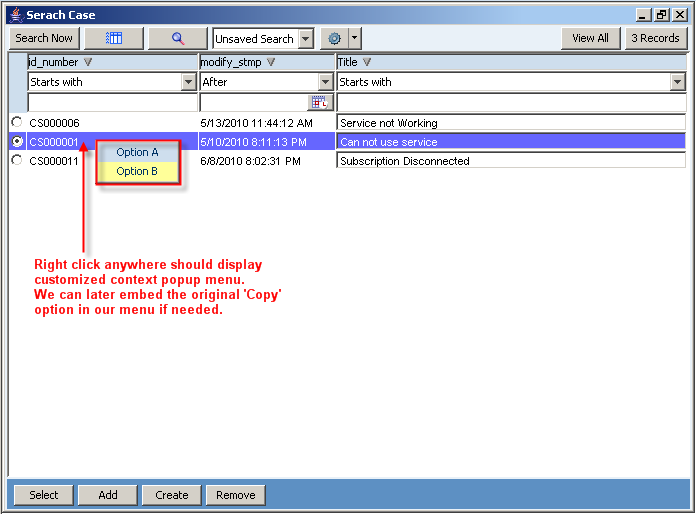 How would we embbed the original “copy” option? Right now, with this example, right clicking on a row does not select it, just display the contextual menu. Is there a way of selecting the row AND displaying the contextual menu with a single right click? It should be possible to perform both record selection and display context menu on a single right click. To achieve this you need to trigger the OOB UIF (Smart Client) grid row selection event on the right click event. However, although I do understand the need to minimize user clicks, I still don’t think this is the right approach. Selecting a record is always performed by left-click. You should avoid any ‘shortcuts’ which might confuse the user. In my humble opinion, selecting a record and invoking context menu are TWO distinctive operations which should stay separated and invoked by TWO clicks.